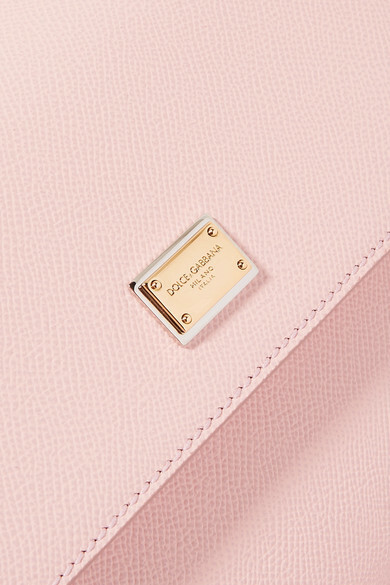 This season it's all about structured, ladylike bags and Dolce & Gabbana's 'Sicily' tote taps into the trend perfectly. 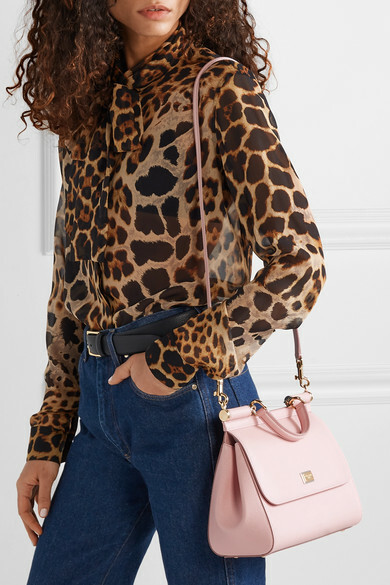 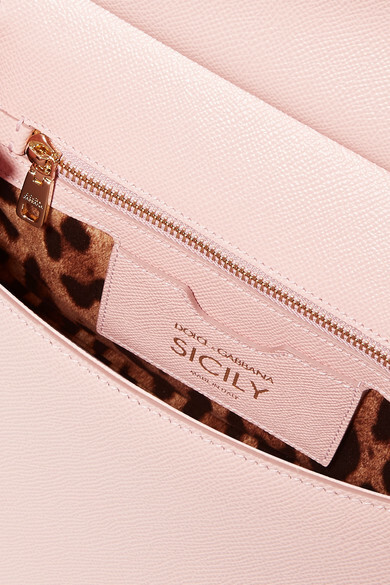 Updated in a sweet baby-pink hue, this medium-sized version is made from textured-leather and has a leopard-print interior that offers plenty of space for your wallet, compact and cell phone. 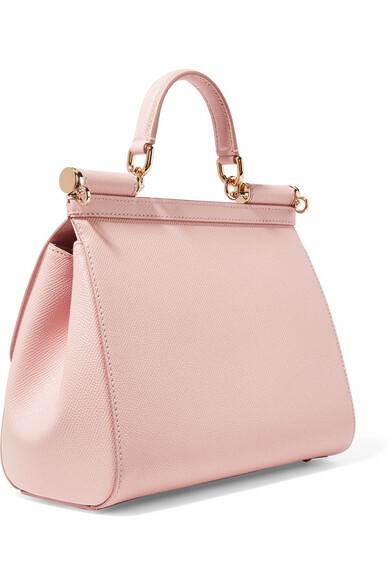 Carry it by the slim top handle or detachable shoulder strap. 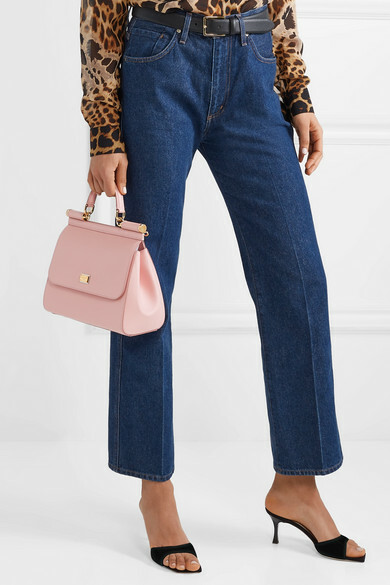 Shown here with: Saint Laurent Blouse, Goldsign Jeans, Giuseppe Zanotti Mules, Anderson's Belt, Cosabella Bra.